When people hear the word 'Arctic', many immediately think of a barren, lifeless and largely featureless landscape. The Canadian Arctic is anything but an endless expanse of snow-covered sameness. The Canadian islands which lie in and near the Arctic Circle contain some of the most strikingly beautiful landscapes anywhere in the world. As you'll discover when you visit Canada's Arctic regions, this is a place which is anything but lifeless. A summer cruise is a great way to experience the unearthly beauty of Canadian Arctic and discover the abundance of Arctic wildlife living in places like Baffin Island, Nunavut Territory and Smith Sound, NT year round or as fellow summer vacationers. If you've always wanted to visit the world's largest island or see migratory seabirds and narwhal in their Arctic homes, Canada Polar Bears can help you book a truly unforgettable tour of the Canadian Arctic. There are summer cruises which offer a unique Canadian vacation experience which begins in Denmark! Greenland; the largest island in the world is a Danish territory which lies across the Baffin Bay. Greenland is an ideal starting off point for a summer cruise in the Arctic. You'll cruise through dramatic fjords and visit charming fishing villages on Greenland's west coast before heading west across Baffin Bay to Canada's Arctic Archipelago. Keep an eye out as you sail along Melville Bay; this area is a shoreline reserve where you may see beluga whales, narwhal and even polar bears! Along the way, you'll see dovekie, northern fulmars, ivory gull and many other Arctic seabirds; these summer cruises are a bird watcher's dream. A trip to Nunavut Territory's Smith Sound, once thought to be part of the Northwest Passage offers one of a kind wildlife observation along this narrow waterway. Smith Sound, NT is home to Arctic foxes, polar bears and other fascinating and beautiful Arctic species. Aujuittuq, Nunavut Territory is a place you'll always remember. Meaning "the land which never thaws", Aujuittuq, NT is a small Inuit community which lies well north of the Arctic Circle on Baffin Island and is the northernmost town in Canada. You'll pay a visit to Aujuittuq on your summer cruise vacation to the Canadian Arctic - and you'll be among the lucky few who have the opportunity to do so; the town is rarely seen by outsiders and largely unknown outside of Nunavut Territory, Canada. You'll finish your summer cruise tour of Canada's Arctic regions with visits to few more of Canada's incredible Arctic islands. The imposing cliffs of Somerset Island, Nunavut are the home of more than 350,000 migratory birds! The island is part of the Prince Leopold bird sanctuary and a spectacular sight, even if you're not an avid bird watcher, you'll want to take plenty of pictures here. Finally, you'll see Beechey Island, a historical site famous for its stone cairns and memorials to Arctic explorers who lost their lives attempting to reach the Northwestern Passage. It's a place of somber beauty and a fitting last stop to a Canada summer cruise through the Arctic before you head home with many photographs and a lifetime of memories of your Canadian adventure. If you'd like to take a Canadian vacation cruise to some of the country's most remote and beautiful locations or watch narwhal, seabirds and Arctic fox, Canada Polar Bears can help you plan an unforgettable summer holiday in Canada which takes you to these and other unique locations. 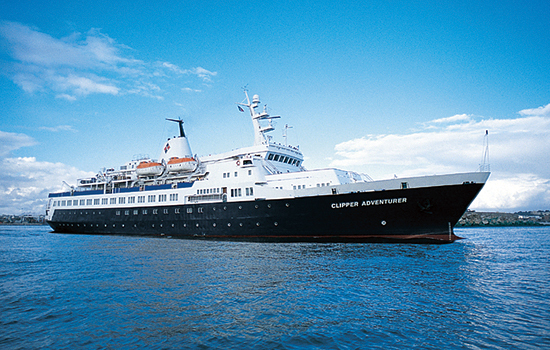 Need more information on Canadian Arctic Summer Cruises? Talk to one of our Canadian travel Insiders who'd be happy to answer all your questions.